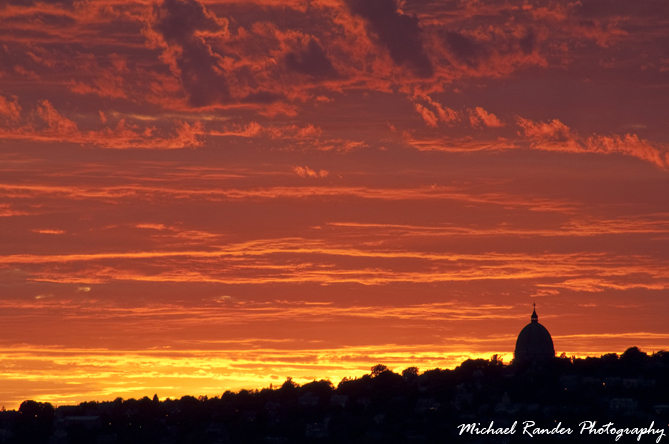 I think i saw that sunset the other day and it was spectacular...we so rarely get spectacular sunsets in Montreal. Very well done! Very striking colour Miker, not often seen that vibrant. Definitely worth leaving dinner for, very nice. Thanks Matt & Hillbilygirl - Much appreciated! Excellent exposure and comp .... nominating this one. The colour is awesome! Nicely done. I don't know the skyline very well, what's that dome sticking up there? Wow - thanks a lot MA , Rinkdaddy & Iguanasan. The dome sticking up is Saint Joseph's Oratory which supposedly is the largest church in Canada - located on Mount Royal which is our local mini-mountain in the middle of the city.